You are here: Home › Pearlcare News › News › Resident at the Clough Celebrates 105th Birthday! 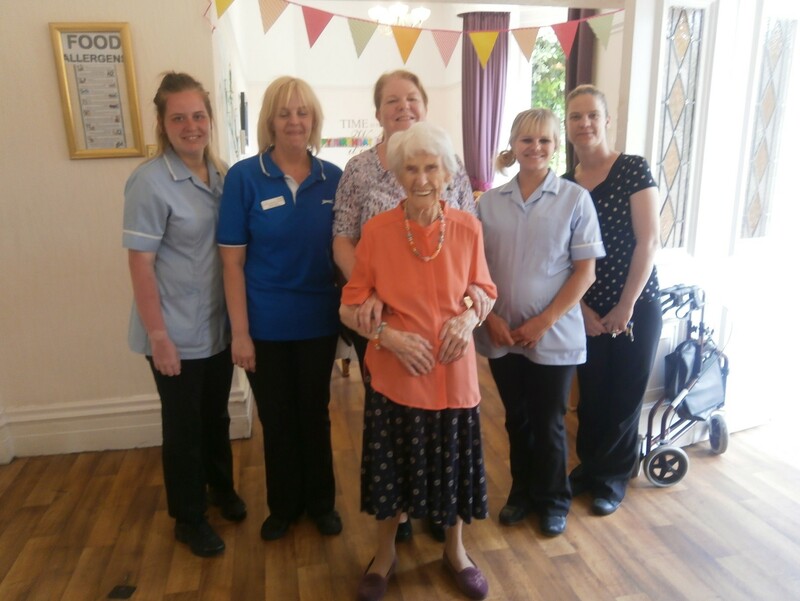 The Clough Residential Care home marked the 105th birthday of Annie Roberts. 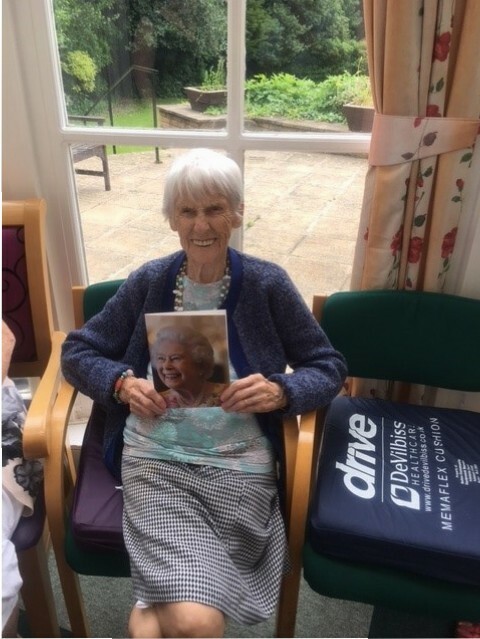 Annie Roberts was born on the 20th June 1912 in Salford, Annie has lived through two world wars, and has 2 children, 3 grandchildren and 6 great grandchildren. In honour of her birthday There was a buffet tea with birthday cake for Annie, also champagne, presents and flowers. 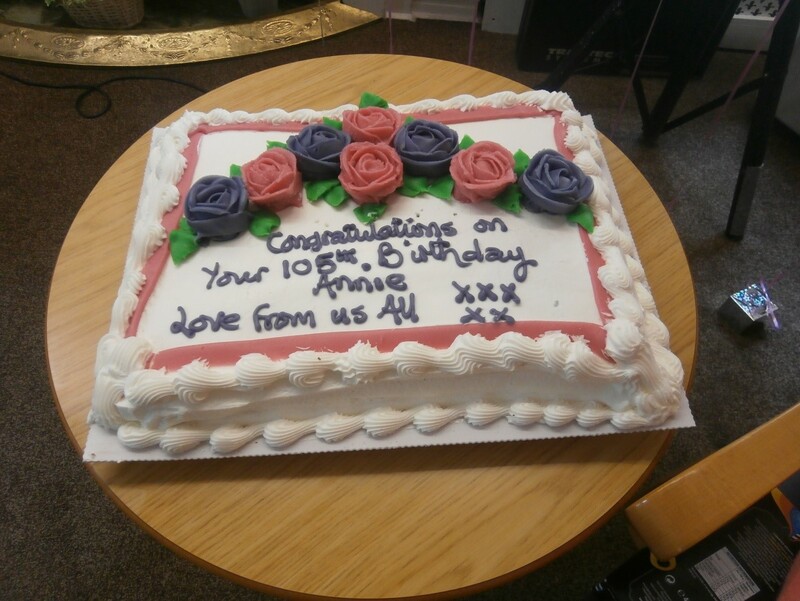 Her son Charles came, and also her daughter Elaine with her husband and Annie’s granddaughter. There was an entertainer which was what got Annie up dancing. She received a telegram from The Queen in honour of her birthday!